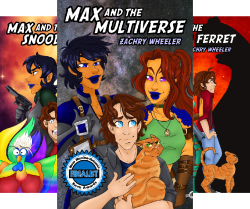 For our final interview of the year we have Zachry Wheeler here to tell us about his series Max and the Multiverse a sci-fi comedy series, currently with three books. What was the most surprising thing you found out while researching/writing your series? Horses can’t vomit. This very real fact pertains to the second book, Max and the Snoodlecock, but it remains one of the most surprising things I have ever learned while writing. I had written a scene where one of the characters reacts to a bad smell, likening it to boiled horse vomit. My editor, who I adore for this very reason, pointed out the fallacy. In perhaps the most epic bit feedback I have ever received, she wrote “horses can’t vomit” in the margin next to a scene with a giant slug holding a protractor. I think I stopped laughing three days later. The primary setting in Max and the Multiverse is the multiverse itself, where the protagonist jumps from one insane situation to the next. The locations he and the others inhabit are usually fleeting and fused to the comedy. Thus, the majority of my choices are driven by a desire to mine them for humor. As an example from the latest book, Max and the Banjo Ferret, one of the main settings is a place called the Terramesh, a cluster of 86 stolen planets. I wrote that exact first line, thought it created a funny visual, and spent the next several weeks fleshing out a detailed backstory. That’s basically how I write the entire series. The manner by which the protagonist interacts with it. Whenever you come across stories about parallel universes (Stargate and Doctor Who for instance), there is always a reason to interact with them, usually in the form of a mission. In the Max series, there is no driving reason behind the adventure. Surfing the multiverse is thrust upon the protagonist, not the other way around. One thing I wanted to do with the Max series was to re-imagine the warp drive, which is all-too-often glossed over in science fiction. As a grossly simplified explanation, my “jump cores” crush a clump of atoms to form a tiny neutron star. The immense gravity is channeled as a hook on the fabric of spacetime, which yanks the destination to the ship instead of vice versa. The fabric rips, the vessel slips inside, and everything bounces back like a rubber band. Sound science? No. But it’s a funny visual. Noodle boosters, the space-faring equivalent of energy drinks. There is no day and night in the black, so pilots in this universe use them to stay alert from port to port. The protagonist gets an unexpected jolt in the latest installment, basically a “shot” of super-strong neural inhibiters. The third book of Max and the Multiverse is titled Max and the Banjo Ferret. As an amusing aside, I had created a mock religion back in 2012 in response to the Mayan hysteria. I used it to poke fun at the whole thing, which coalesced into BanjoFerret.com. 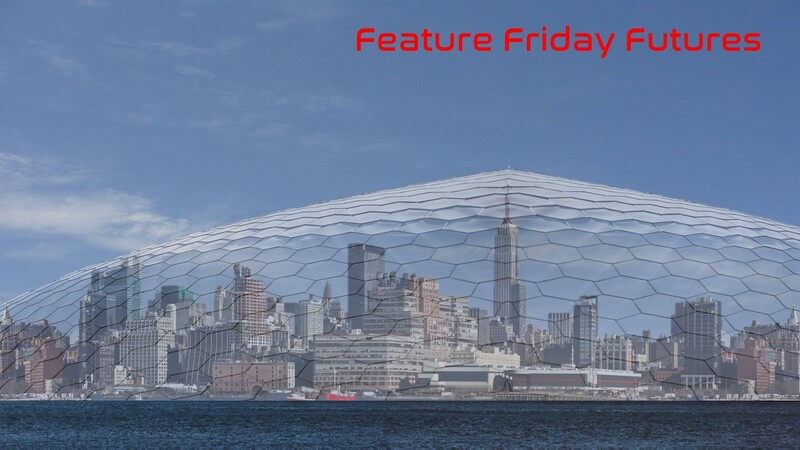 Much to my surprise, the website gained a sizeable following and I have been maintaining it ever since. A few clever fans have even noted references to the deity in the first two books, which culminate in a giant reveal in the third. In a sense, this entire series can be viewed as one big set up to one big joke.